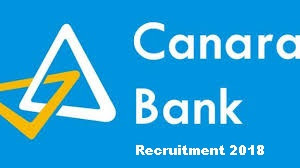 Applications are invited for the recruitment of total 800 vacant posts of Probationary Officer in Canara Bank. Interested candidates can apply before the final date by reading the given instructions. The last date for application is 13 November 2018. Candidates for these positions will be selected on the basis of interview and experience. Age Limit – 20 – 30 years. Please see the published notification for age relaxation and other information. Educational Qualifications – A Degree (Graduation) with a minimum of 60% marks (55% for SC / ST / PWBD) or equivalent grade, in any discipline from a university recognized by the Government of India or any such equivalent qualification as Central Government.